Born and raised on the island of Kauai, Preeta Carlson grew up surrounded by beauty and a uniquely powerful sense of serenity. Introduced to music at a young age, Preeta went on to produce a style of her own and embody the organic elegance of her native land. Her sound is all encompassing, combining the genres of pop, rock, reggae, and electronic. 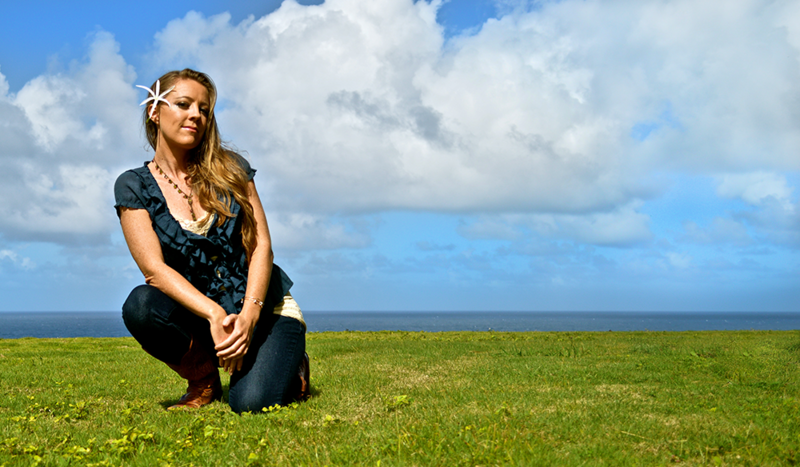 After spending ten years in Los Angeles, touring with the band Preeta and the Peacemakers, this bright and talented young woman has returned to Kauai where she is further developing her uplifting and encouraging approach to music, captivating her audience with a strong voice for positive change and love for life. Preeta’s talents extend past the areas of lyrical, instrumental, and vocal. She is a quadruple threat with the additional passion of dance. Her latest music video, 'We Are Changed' stars the hypnotic bellydance troupe, Sudeeka, a tight knit and skilled group of women that includes none other than the gifted Preeta. Her new album, “We Are Changed” is a sound wave of pop, reggae, and electronic with a dubstep edge that is ready to hit the airwaves! The album exemplifies a personal and universal shift of consciousness and willingness to be transformed by life and love. “In this moment,” Preeta is focused on where she is and where she is going. This girl is one to watch, and most definitely listen!